Choosing a good estate agent isn’t an easy task due to the fact that there are over 18,000 estate agents in the UK, 62 in the average postcode, and all of them claim to be the best. So how can you choose? There are a list of checks you can do before hiring estate agents. If you do well your homework, you will find the right agent. Local area expertise is very important. A good knowledge of the area allow the agents to negotiate better prices. However, homeowners of unusual or expensive properties might prefer going with an agency with national coverage specialised in that kind of properties. Check how many homes near yours they have sold. An agent who is successful selling properties in your area will be able to provide you with an accurate valuation and estimation of how long it will take to sell. In addition, they will already have a good database with potential buyers. How do the estate agents work? You can obtain some information by visiting their website. Look at their properties section and check if they use professional photography and good descriptions. Then, read all the information about their services. Usually they have different packages, so make sure you understand what is included in every package and what is not. Some might not include professional photography or accompanied block viewings. Most people consider this a key factor when choosing an estate agent, but performance is also important. You may think that you are saving money by hiring an estate agent who charges you a small fee, but if there is another who charges you a higher fee but achieves a better price for the property, you will be getting more money. For example, if the fee of the first one is 1.3% on a £350,000 property, you are paying £4,550. Let’s say that the second one charges you 1.6% but sells the property for £370,000. You would be paying £5,920 but getting £20,000 more. As well as getting the best price, for some people time is very important. It’s important to know how many weeks on average it takes to sell a similar property to yours in the same area. Property agents tend to give very optimistic valuations only to convince sellers to hire their services and later they reduce that price until the property is sold. Getting a more precise valuation will prevent price drops that might affect the final selling price. Getting some information about their percentage of asking prices achieved would be ideal, but if not, go at least with those who have experience in your area and impress you with the quality of their service. Professional estate agents use a variety of property portals. Ask if your home will be featured on the main ones: Rightmove, Zoopla and Primelocation. It’s also essential to know if they use other traditional ways of promoting properties, such as local newspapers or magazines. Because 98% of all property searches are now made online, that is where you need to be. Traditional estate agents can do the job, but in our experience they’re a little bit tired, not strategic and unable to use the latest technology to the same degree as our property specialists.  Love Your Postcode offer the best of both the traditional and online model. We’ve listened, acted and simplified the whole process, which is often perceived as something more complicated than it really is. If you appoint us as your estate agent, we will promote your property for you on the leading property portals (as mentioned above) including Rightmove, Zoopla and Prime Location. In fact due to our unrivalled marketing power, we will ensure that your property sits on page one in a featured Rightmove box, allowing it to have more attention than any other property in your area.